Open Edition - No Longer being produced and are available for purchase from the artist. 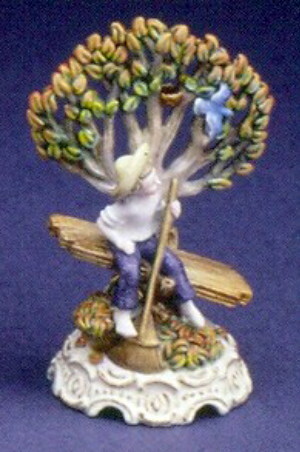 Click here to take you to the Olszewski Miniatures Online Store. 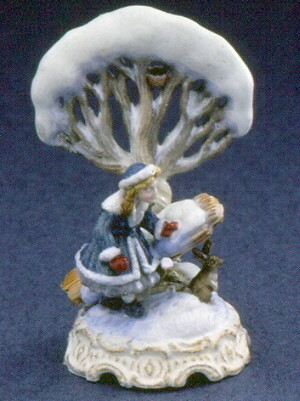 Created by Olszewski for the Four Seasons Collection sold by Olszewski Studios' retailers. In planning this series, the artist wanted to create four works that would capture his fascination with the change of seasons. How can the very same things we see everyday be so different? He watched the season's change over and over, but with a fascination as though it were for the very first time. The summers he spent as a young boy were spent in the country. He lived just outside of town and our neighbors were separated by large tracts of land that had been turned into vegetable gardens. At the edge of our garden stood a long line of fruit trees. In the summer, Olszewski spent many afternoons sitting in the trees enjoying the fruit and watching the birds come and go. This memory of birds, play and fruit trees evolved into "The Four Seasons" Collection. 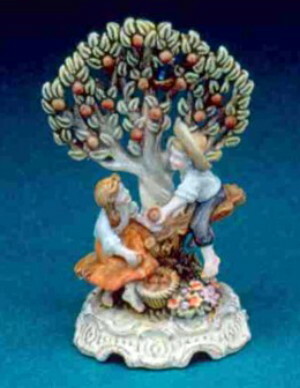 As the seasons unfold, collectors will enjoy comparing the changes in the apple tree, children and seesaw, and don't forget to notice the bird's nest that is carved into one of the pieces. Each of these elements will change from season to season and experience how the same things can be so different. 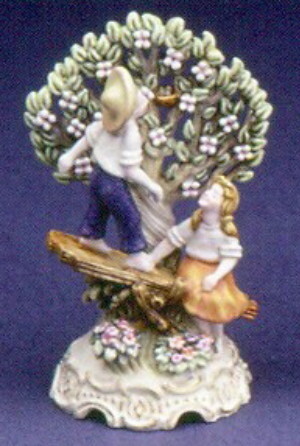 In this collection there are four individual figurines to include: Winter - Tracking the Rabbit; Summer - Picking Apples; Spring - Natures Awakening; and, Autumn - Going South. 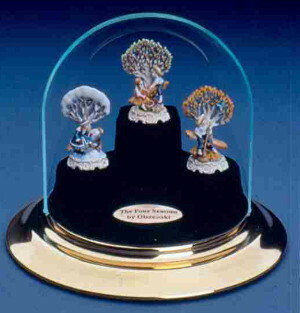 To display the four figurines, Olszewski Studios produced a custom made display called the "Glass and Brass Dome Display." The entire collection in the dome display can be seen below along with images of the individual figurative work.